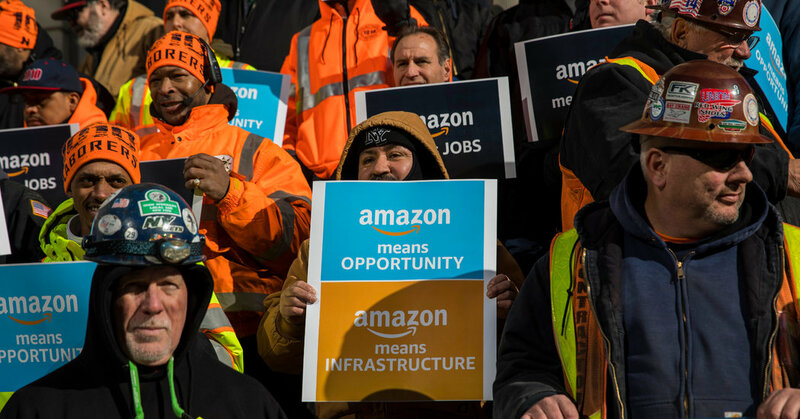 On Monday about a dozen or so supporters, including Representative Carolyn Maloney and tenant leaders in New York City public housing developments, rallied at the Queensbridge Houses, the country’s largest public housing development, which is near the proposed Amazon site. The demographics of the complex are different from those of the recently sprouted towers along the neighborhood’s waterfront. “All along the East River shoreline, both in Brooklyn and in Queens, there has been a growth in white voting-age citizens,” said John Mollenkopf, a professor of political science at the City University of New York Graduate Center. The changing makeup of western Queens could be seen in Ms. Maloney’s closer-than-expected race and Ms. Ocasio-Cortez’s surprise win, he said. Queens residents who voted for Ms. Ocasio-Cortez were younger and registered to vote more recently in Queens than those who supported Mr. Crowley, according to an analysis of election results and voter data by Mr. Mollenkopf. “Being younger and more recent to the neighborhood is associated with an election district leaning toward A.O.C.,” he said. Those changes have fueled opponents, struck fear in the hearts of some elected officials and worried executives at the world’s biggest company. But for some veteran consultants, the situation is hardly new. Some who oppose the Amazon deal, she said, are the very gentrifiers whose influence they are trying to combat.